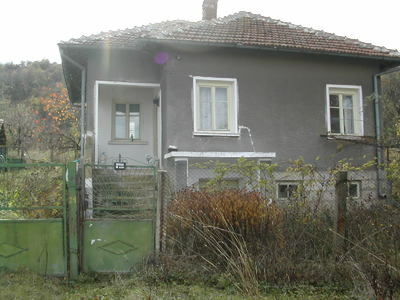 This is single storey massive house, situated in a quiet village 35 km away from Vidin, not far from Danube. Soon in the district one of the biggest European transport projects will be implemented- the second bridge over Danube River between Bulgaria and Romania with € 238000000 investment. The region is already attractive not only with its beautiful nature and fertile soil, but with its perspectives for the future development as well. The living area of the house is 72 sq. m. and it includes entrance hall and 3 rooms with wooden floor. Under this level one more room and 20 sq. m. cellar are accommodated. There is electricity and running water, but it is necessary inner bathroom and toilet to be housed. Another home facility is parking place. The house is for sale with all the furniture. The belonging garden's area is 2000 sq. m. and there are big agricultural building, vineyard and fruit trees. Near the village a historical monastery is located. Clean and peaceful environment give good opportunities for relaxing and tourism.